Nineteen years after the release of Anthology, Motown finally tops that 33-track, three-LP compilation with this 82-track, four-and-a-half-hour, four-CD/cassette box set. 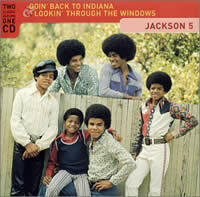 The Jackson 5 were long overdue for box set treatment, and this one is well done. 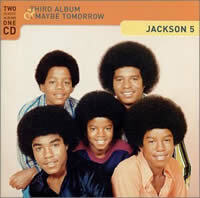 All the hits by the group as well as those by Michael and Jermaine Jackson are here (that is, from 1969-1975, the J5's tenure at Motown), along with a representative sampling of album cuts. The J5's albums were afterthoughts to their singles, but some of these songs are nevertheless interesting, whether the group is covering Sly and the Family Stone or Jackson Browne. 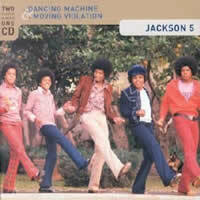 An entire disc is given over to previously unreleased or rare tracks from the Motown vaults. Taken together, it may be more than all but the most die-hard fan wants to hear, which may be why Motown rushed out yet another single-disc hits collection, The Ultimate Collection, a couple of months later. I Want You Back! Unreleased Masters, issued Nov. 10, 2009, brings to the public for the first time 12 unreleased recordings that include unique alternate versions of well-known hits as well as near classics and should-have-been-hits by one of the most popular groups of all time. 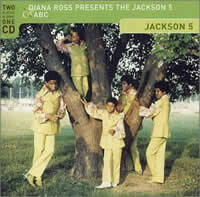 We get to hear, too, amazing unreleased tracks written and produced by the J5’s regular producers: The Corporation™ (“I Want You Back,” “ABC,”), with two “new” songs, cute and lively “That’s How Love Is” and “Love Comes In Different Flavors”; and Hal Davis (“I’ll Be There” and many more), represented by the beautiful “Lucky Day,” with one of MJ’s loveliest vocals. 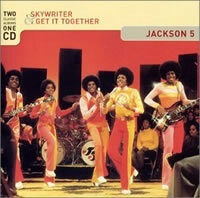 The J5 recorded prolifically throughout their Motown tenure, especially their first year under the tutelage of Bobby Taylor, who first brought them to Motown and produced two-thirds of their debut album. On this collection we’ll hear two soulful, nearly forgotten tracks: “Man’s Temptation,” a ballad written by Curtis Mayfield – originally performed by Gene Chandler and later covered by Isaac Hayes – featuring Jackie, Jermaine and Michael, whose passionate vocals make the track this new album’s “Who’s Loving You”; and the funky “Listen I’ll Tell You How,” a Taylor original. That’s not all. Willie Hutch, co-writer of “I’ll Be There,” delivered “Love Call,” a fast-paced smash that was somehow overlooked back in ’71. Johnny Bristol, best known for his work with Marvin Gaye & Tammi Terrell, Jr. Walker and the Supremes, co-wrote and produced “I’ll Try You’ll Try (Maybe We’ll All Get By),” a super funky, socially conscious jam. I Want You Back! Unreleased Masters also features Stevie Wonder’s “Buttercup,” a highly anticipated collaboration announced in 1974 but never released. The Jackson 5 Ultimate Christmas Collection features the classic best selling Jackson 5 Christmas album originally released in 1970, plus 6 bonus tracks including a rare Michael Jackson Christmas song, "Little Christmas Tree;" Original spoken-word "Season's Greetings" from Michael and his brothers; A capella and "stripped" mixes of beloved songs from the original album highlighting Michael Jackson; a DJ Spinna re-edit of the funky "Up On The Housetop;" and a fun medley of songs from the original album. The album's special packaging includes rare photos and other elements exclusive to this new release.